Kaycie (she/her/hers/ella and/or they/them) identifies as a multi-interdimensional spiritual being and a Black-Xicana-Indigenous-Femme. Kaycie grew up in Seattle, WA, and spent her childhood on stage dancing, singing, acting, playing musical instruments and sports (mostly basketball), dreaming in the NW forests, gazing at the stars and philosophizing about life. Her life’s work revolves around the evolution of (human) consciousness, with a praxis of transmuting energy in ways that raise critical awareness, primarily through liberatory education, art and ways of being. Kaycie holds a B.A. in Environmental Analysis: Human Behavior from Pomona College and an M.A. in International Development and Service with foci in Intercultural Communication and Intercultural Education. Kaycie currently serves as the Educational Equity Program Manager for Campus Compact of Oregon and administers a statewide critical mentorship program that aims to center youth of color, first-generation youth, and low-income youth; she also facilitates racial justice//educational equity//intercultural competence trainings for educational institutions. Additionally, Kaycie is a Qualified Administrator for the Intercultural Development Inventory (IDI), a tap dance teacher, and recently served as adjunct faculty at Marylhurst University. 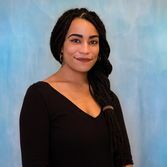 Prior to her employment with Campus Compact of Oregon, Kaycie worked for the City of Portland’s Bureau of Development Services and helped launch the citywide Racial Equity Roadmap initiative. Kaycie strives to impact those around her in ways that inspire self-reflection, self-empowerment and self-actualization and desires to engage in restorative, contextual conversations informed by Critical Race Theory and Black Feminist Thought, as well as storytelling that centers self-exploration, healing and liberation.